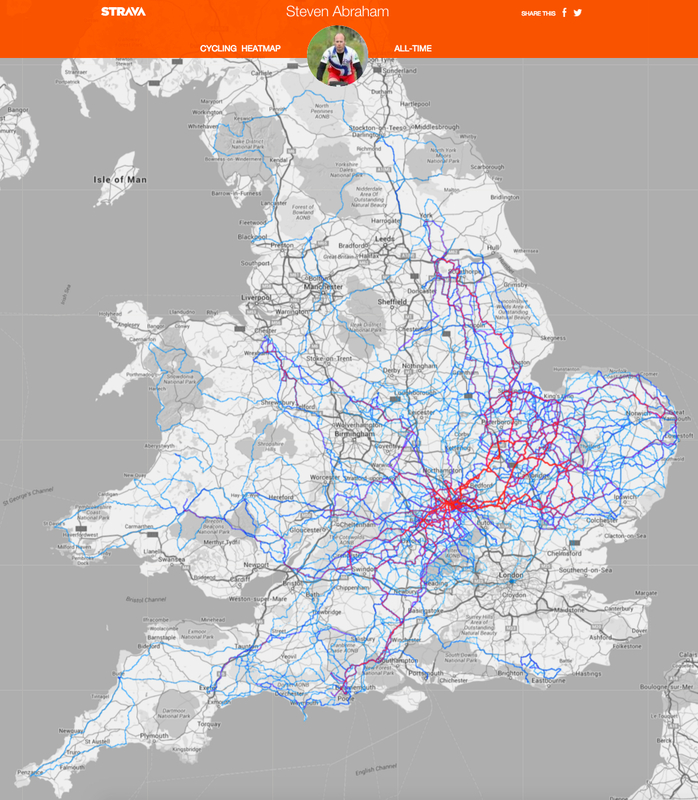 A map of all of the rides Steve Abraham did during his cycling Highest Annual Mileage Record attempt has been produced courtesy of cyclists’ social network Strava. Newly-released photos taken by George Marshall also give an insight into Abraham’s genuinely epic endeavour. “I had a schedule to ride to, to get the record, and I’m just not doing enough,” Abraham said when he announced that he would be ending his attempt. Abraham now says that he feels he never really got into his stride. “I’ve never felt like I’ve got up to speed during the whole attempt, I’ve never felt like I’ve been going well,” he said. “I didn’t start [the whole attempt] fit – I was doing 16 hours flat out on the computer every day just so I could get to ride. The original plan was I’d get fit during the attempt, but I think there was never enough recovery time because of the lack of speed, right from the start. “If I was fitter when I started it and could have gone a bit faster, I would have got more sleep at the start and recovered more. That’s what I think would have happened, but we don’t actually know. Abraham’s original attempt was to have run from January 1 2015 until December 31 2015, but a collision with a moped in March left him with a broken ankle. Abraham recons that incident cost him 10,000 miles. He then reset his attempt to run from August 2015 to August 2016, but called it a day in January. Despite Abraham’s enforced lay-off in the spring due to his injury, he still managed to post the fourth largest distance ever cycling in a year at the end of 2015 – 63,608 miles – and the furthest cycled by anyone in the 18-39 year old category. Searvogel is 53. Abraham has nothing but praise for Searvogel and his new record. “I’m really glad he’s got the record. With everything he’s put into it, it would be a shame if he didn’t break it.